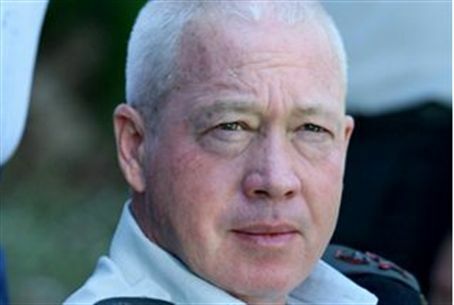 Former IDF Major General Yoav Galant says Israel's negligence vis-a-vis Gaza will eventually force it to undertake a major ground offensive. Major General Yoav Galant (Ret.) said Monday Israel's refusal to take decisive action in Gaza will only serve to force Israel to make a massive incursion into the Hamas-run enclave. Galant told attendees of a speech at Tel Aviv University that Israel's concerted efforts to dismantle against terror infrastructures in Judea and Samaria caused terror levels to plummet, while Gaza terrorists were being allowed to thrive and build. "A lack of action, negligence by military officials, has resulted in a situation in the West Bank where we took care to tend the lawn, but in Gaza - since we didn't - thorns grew into tree trunks." "In the end we'll have to go in with bulldozers," Galant added. Galant, a former contender for IDF chief of staff, added that Gaza is "something belonging to the Islamic bloc. That's a reality no one knows how to solve." He also dismissed efforts by Hamas and Fatah to form a unity government saying the differences between the factions could not "be resolved with words." Galant joins former IDF chiefs of staff Shaul Mofaz, Moshe Yaalon, Dan Halutz, and Gabi Ashkenazi in calling for major operations to root out Gaza's terror infrastructure. Minister of Internal Security Yitzhak Aharonovitch has also publicly called for a Gaza incursion. Israel's strategic paradigm of airstrikes-for-rockets has largely been seen as maintaining the poor security situation of its Gaza belt communities - which have had over 12,000 rockets fired at them from Gaza since 2001. Hamas has been openly looking for a new country to host its foreign headquarters for several months, but has reportedly been given an ultimatum by Iran to remain or face losing funding, training, and armaments from Tehran. Iran has long used terror factions like Hamas and the Popular Front for the Liberation of Palestine in Syria and Lebanon as proxies against Israel - and pro-Western elements in Lebanon. Analysts say Israel could potentially use the chaos a future Assad ouster would create for Hamas' foreign leadership and support networks as a window for moving against the terror infrastructures in its Gaza stronghold.